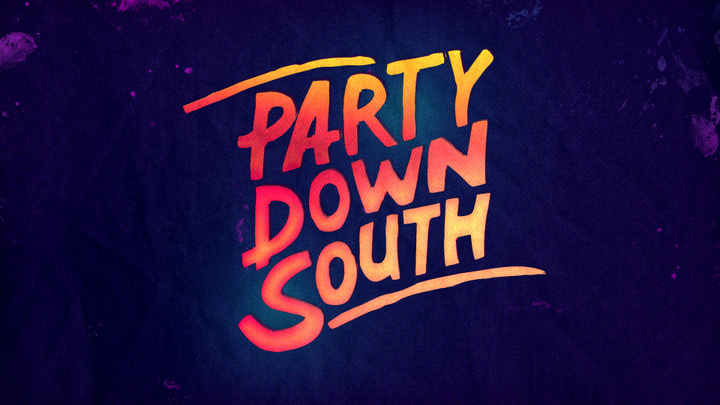 NASHVILLE – May 13, 2014 – CMT’s fan favorite and highest-rated series ever PARTY DOWN SOUTH is back for an all-new, 13-episode season and heading to Athens, GA when season two premieres Thursday, June 5 at 10:00 p.m., ET/PT. Fans can get an advance look at season two when an exclusive first look airs immediately following the 2014 CMT MUSIC AWARDS on Wednesday, June 4. After a life-changing summer in South Carolina, Daddy, Lil Bit, Lyle, Mattie, Tiffany, Lauren, Walt, and Murray are back for another round of muddin', funnelin,' and gettin' country. The cast reignites old friendships and flames, and even makes some new connections along the way as season two brings new love triangles, tougher quarrels and more “family” bonding than ever. In addition to partying with the locals in Athens, the group also heads to Mexico to hang in Cabo San Lucas for a spring break that no one will soon forget. In the first episode of PARTY DOWN SOUTH, the uproarious cast descends upon Athens yelling, “Hello Georgia!” and “The Boudreaux is back, baby!” It doesn’t take long before the smack talking and beer guzzling begins, setting the tone for the rest of the summer. Ryan is eager to introduce his latest find in beer technology, “The Beerzooka,” and Tiffany informs the house that she's given up F-bombs for Lent. In true PARTY DOWN SOUTH fashion, the night ends with a full-house brawl, Tiffany putting her Lenten promise on the back burner, and Mattie transforming into her alter-ego, "Martha." The premiere season of PARTY DOWN SOUTH made network history as its highest-rated original series ever* and achieved the highest-ever social media engagement. For more information on PARTY DOWN SOUTH and exclusive content, visit CMT.com, download the CMT App for uncensored episodes, extras, exclusive clips and more, like the show’s official Facebook page, follow @CMT on Twitter and Instagram and use hashtag #PartyDownSouth. Also, follow the cast on Twitter: @WaltWindham, @LyleBdx, @DADDYRyanR, @MattieLBreaux, @TiffanyHeinen, @LaurenAshWhite, @JoshMurray81 and @LilBitSouth.